This week’s guest bloggers are Saffron, age 11,, and her sister, Ruby, age 8. They live in Pennsylvania. In the fifth and second grade, respectively, they recommend buying a child a series of books so that they can read them all at once, somewhat like binging on a TV show on Netflix. The trick? Finding a book series good enough that you can’t read just one! Today, we hear from Saffron. The Lightning Thief by Rick Riordan is the first in the series Percy Jackson and the Olympians. It starts with Percy finding out he is the son of one of the ancient Greek god Poseidon. Zeus’s thunderbolt has been stolen, and he thinks Poseidon stole it. Percy encounters other gods in this story, not all of which are helpful. This story has wonderful plot twists and a delightful plot at that. It is full of everyday situations that only a demigod can turn abnormal. (Riding the bus with three old ladies ends with the bus exploding.) All in all, it is truly in my top ten favorite books. The Sea of Monsters by Rick Riordan continues The Lightning Thief. Percy goes to an island in the Sea of Monsters to save his satyr friend Grover from an evil Cyclops. Ironically, we find out Percy’s half-brother, who is coming with Percy, is a cyclops. The book is similar to the Lightning Thief in its quick wit and real-life situations. Altogether, it is one of my highest-recommended books. 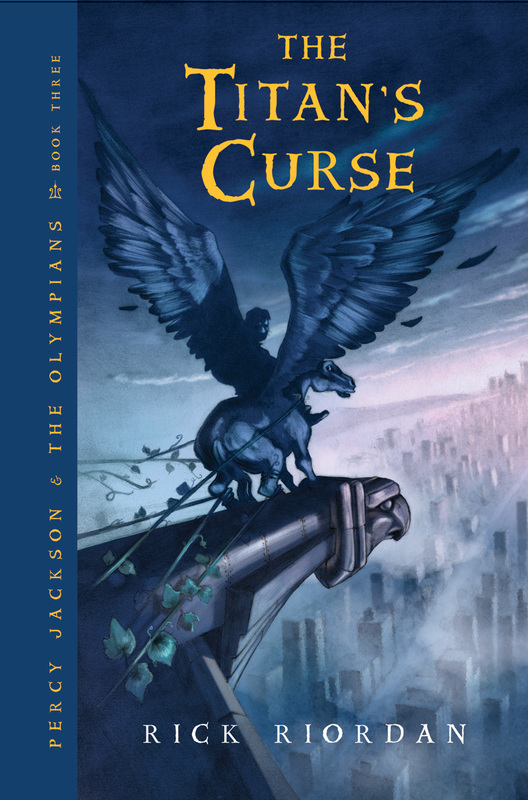 The Titan’s Curse by Rick Riordan continues The Sea of Monsters. Percy’s crush has been kidnapped by Kronos’s army, and he (obviously) wants to save her. Bianca and Nico DiAngelo (Nico might be my favorite character in the whole series,) are two new demigods who have to be delivered to Camp Half-Blood, the training grounds for demigods. On his quest, Percy takes one of Artemis’s Hunters, Zoe Nightshade, Grover Underwood (the satyr), and Bianca. At the end, Percy returns to Camp Half-Blood and Nico blames him for the death of his sister. It is undoubtedly one of my favorite reads. The Battle of the Labyrinth by Rick Riordan continues The Titan’s Curse. The story opens with finding out that there is a, no, the Labyrinth beneath Camp Half-Blood. Percy decides that it is a good way to infiltrate Kronos’s army. He and Annabeth (his crush), Grover, and his half-brother (Tyson the cyclops) go into the labyrinth and meet Daedalus. Although, I can’t give too much away, I can say that it is a great book to read for a school book report. 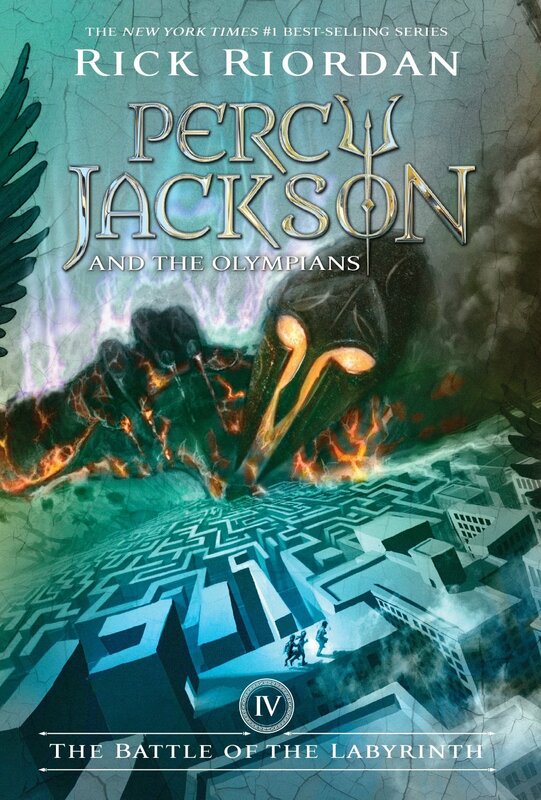 The Last Olympian by Rick Riordan continues The Battle of the Labyrinth. The book starts with Percy blowing up one of Kronos’s ships. This is the closing book of the series, and so the Battle of Manhattan against Kronos begins. All the gods and goddesses pitch in to help defeat the titans. In the end, it is not Percy who is the hero, though. And I certainly cannot give that away, now can I? Like all the books, this is full of plot twists. However, this is my favorite for a number of reasons I cannot share for fear of spoiling the book. I hope you enjoyed my review of Percy Jackson and the Olympians. I highly recommend this book series for 2nd to 4th graders. Saffron is a huge fan of Rick Riordan and has read all his series. She enjoys reading almost any material and recommends books to her classmates. She is 11 years old and can pick out books based purely on personality and how hard the books are. She likes to go to the library and sit quietly in the sun, curled up with a book. Whenever she comes across good book series, she is sure to tell her friends. She calls herself a “book loving book discoverer librarian.” She also enjoys dachshunds and has one named Dawn at home. Want to get more suggestions for great books to gift this holiday season? Read Erica’s suggestions for books about St. Nicholas and St. Lucia here. Check out O’s suggestions for books about wild animals here. And read Ruby’s suggestions for Star Wars-themed books here. Next Next post: How many dead civilians were represented in the first row at George HW Bush’s funeral?